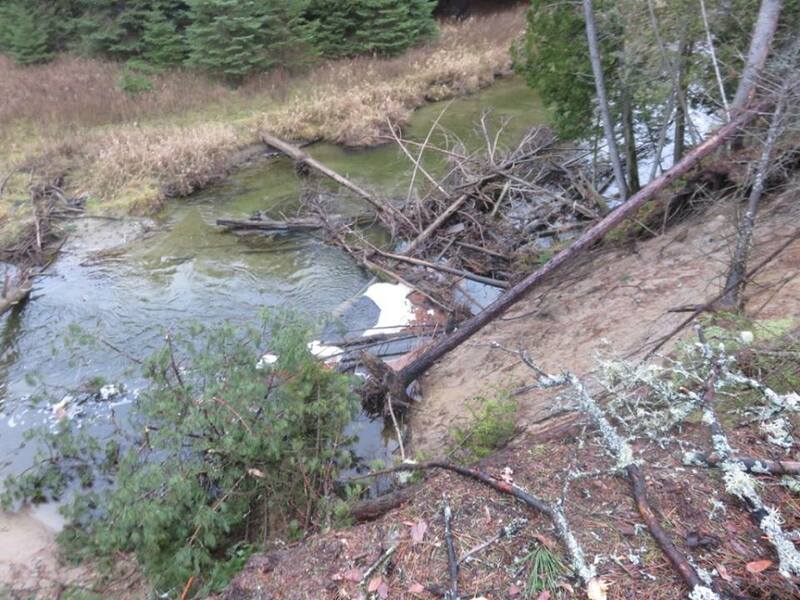 MIN 624 is on the Mindemoya River. 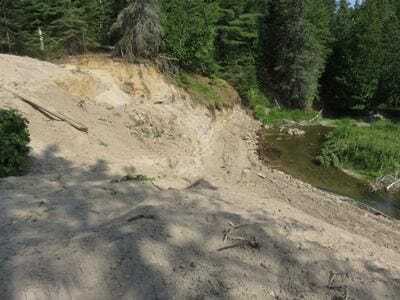 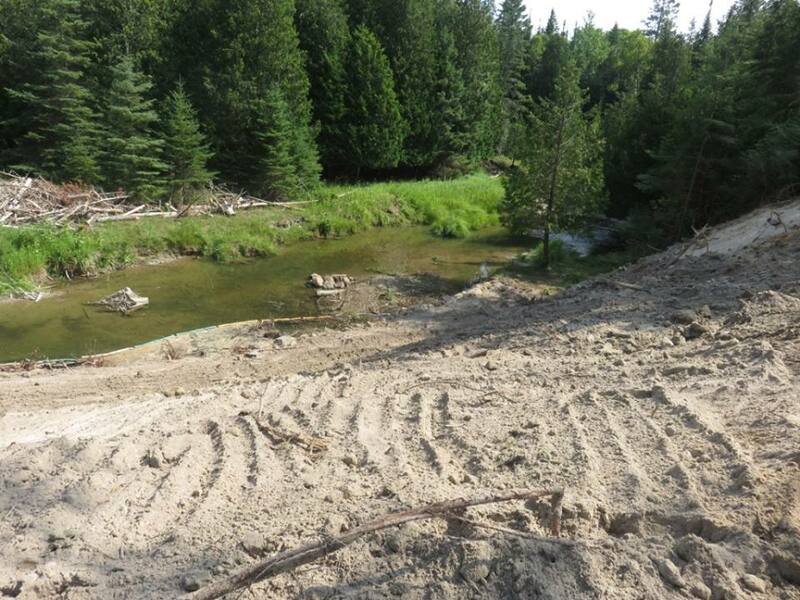 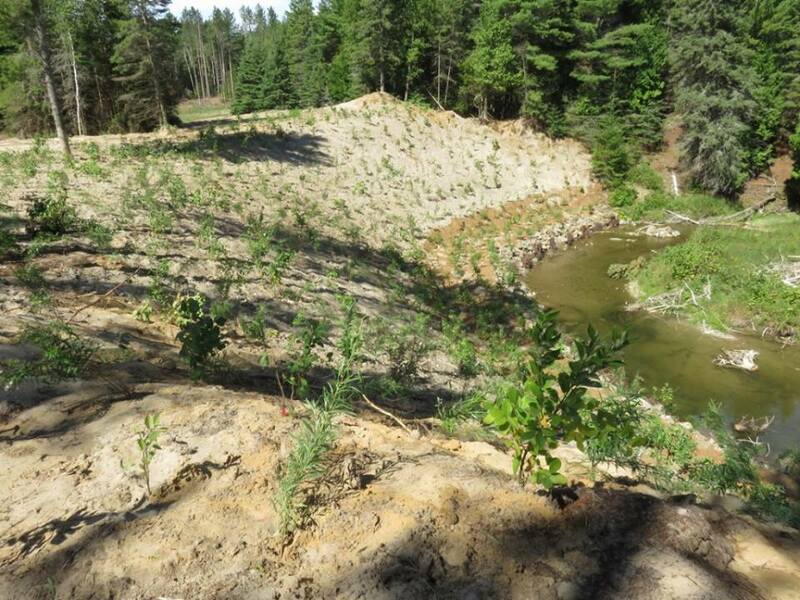 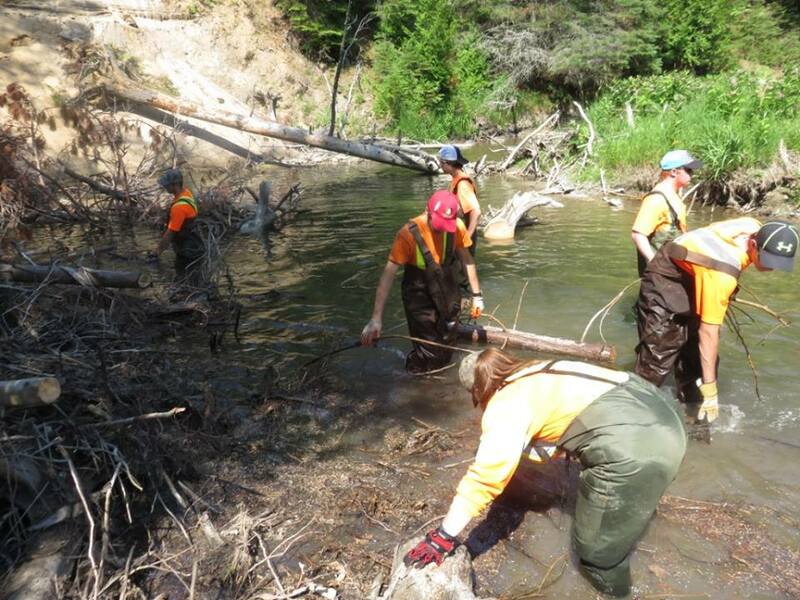 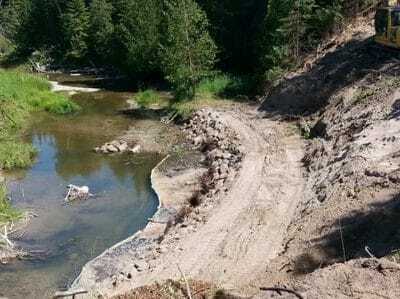 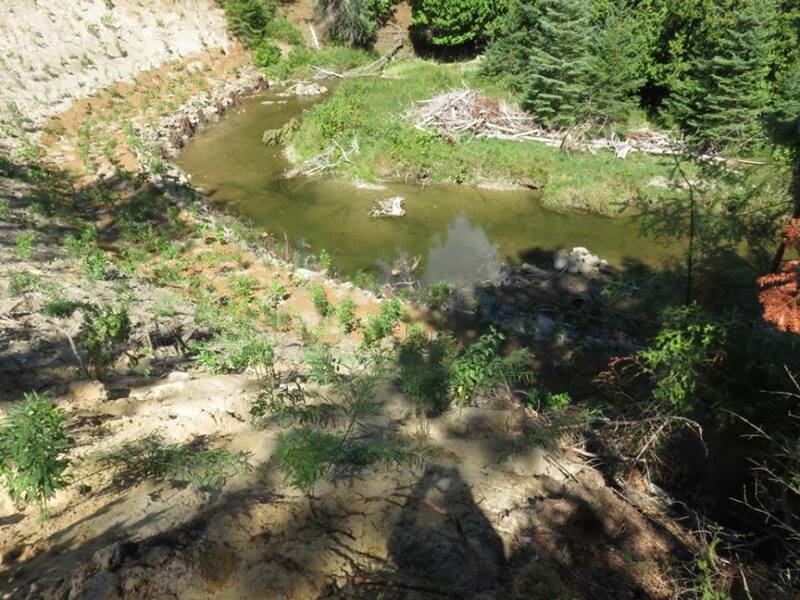 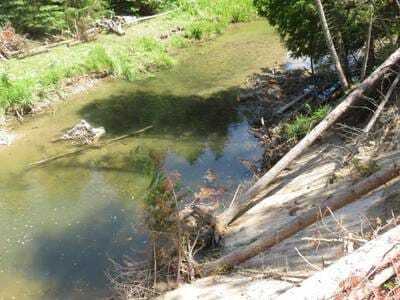 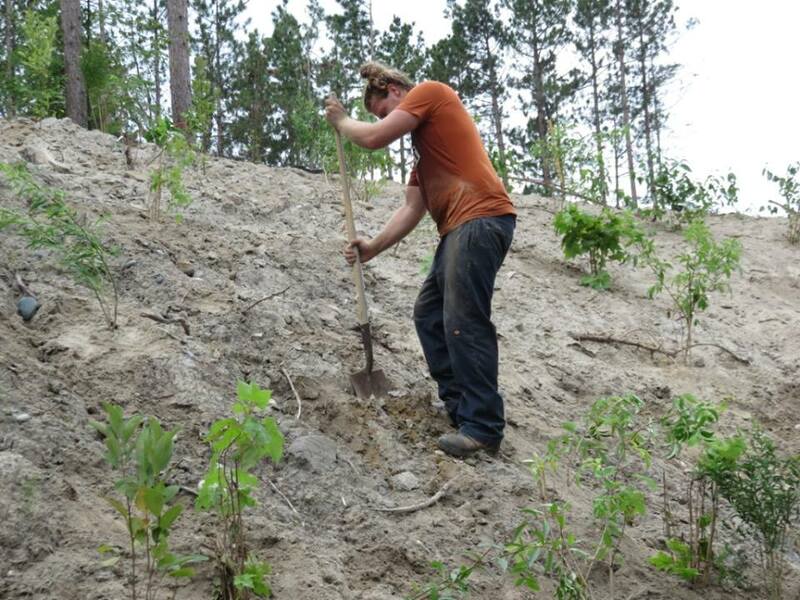 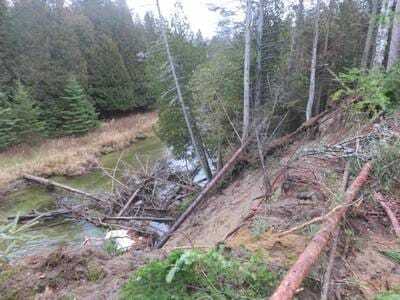 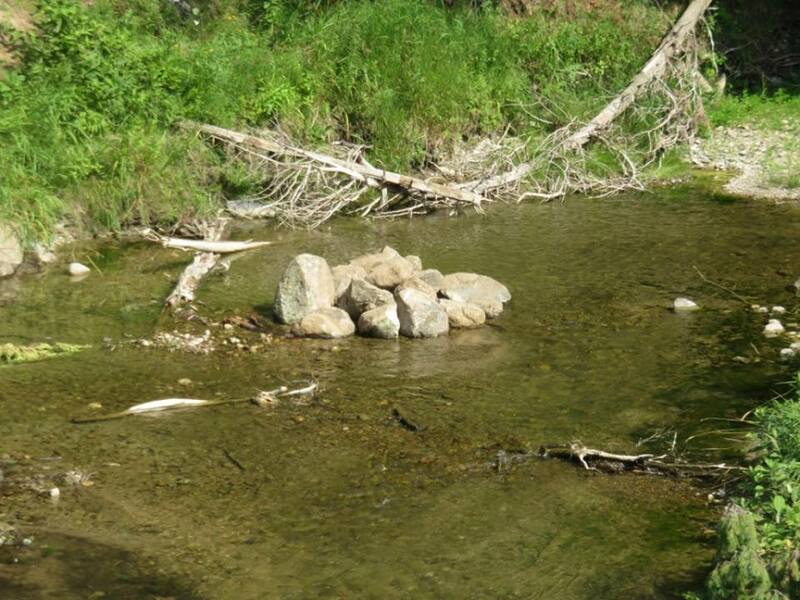 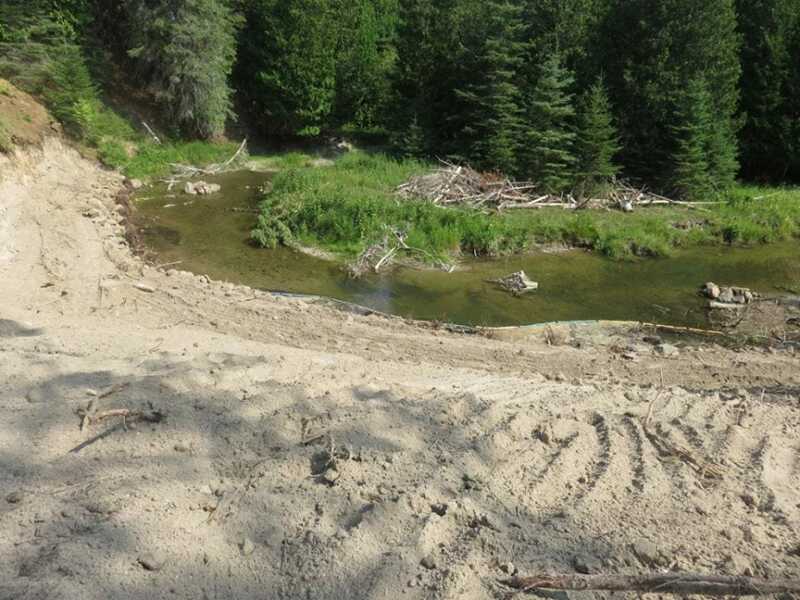 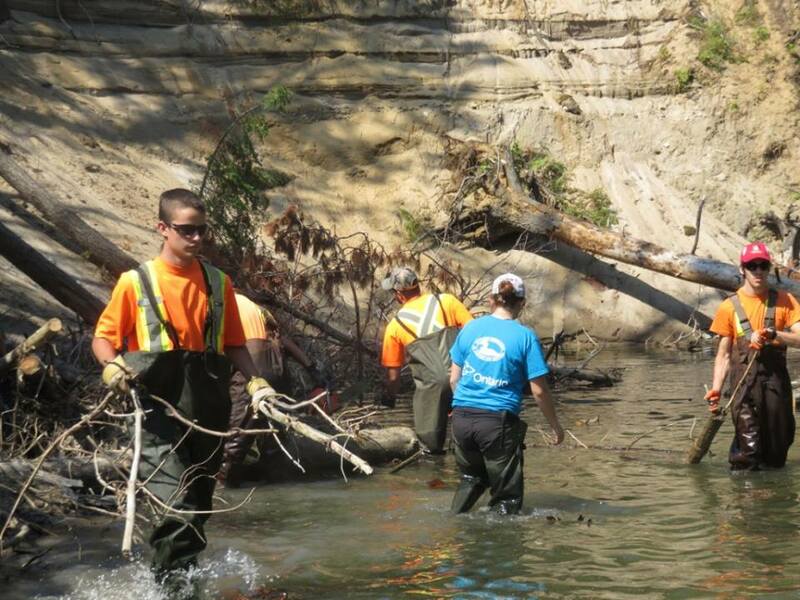 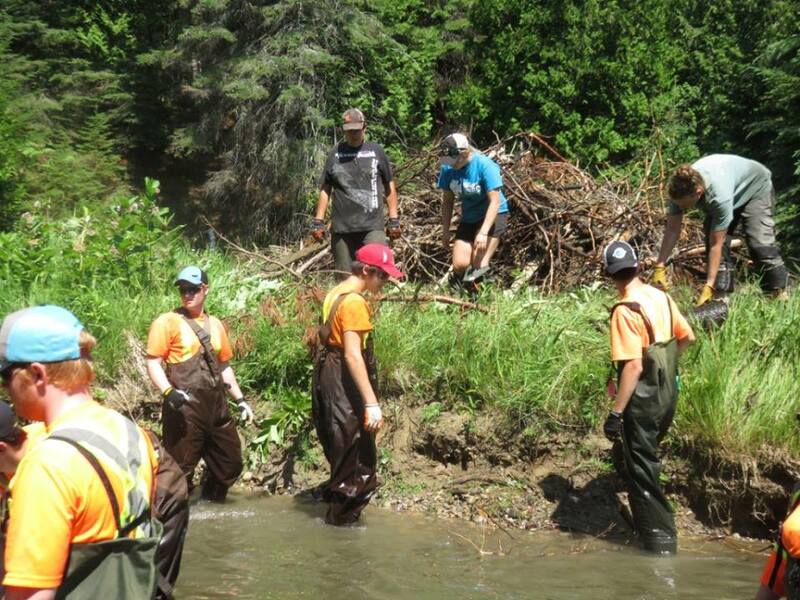 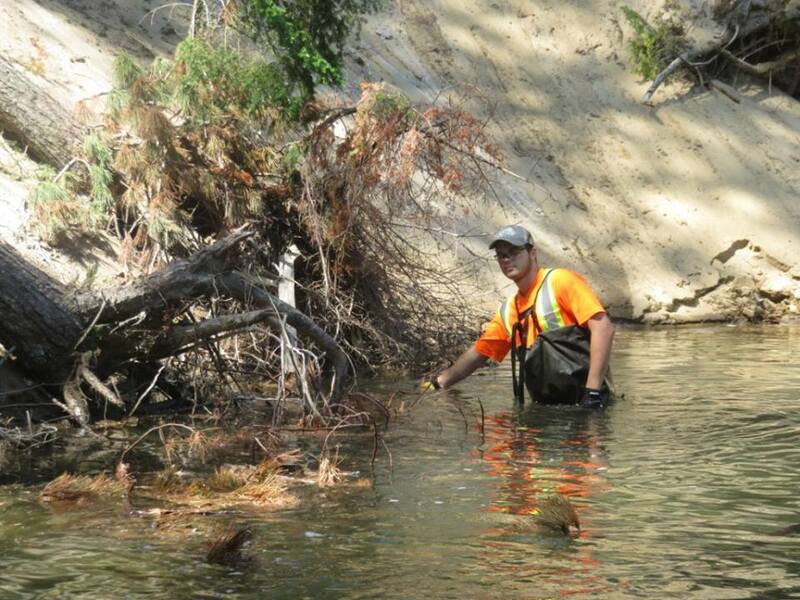 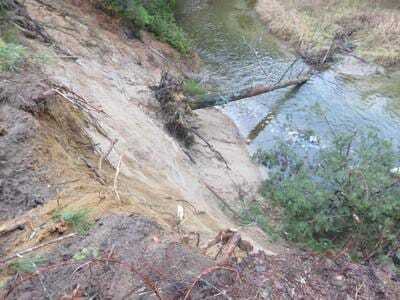 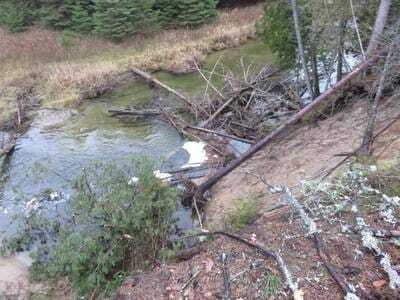 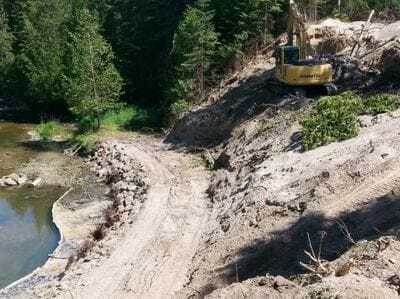 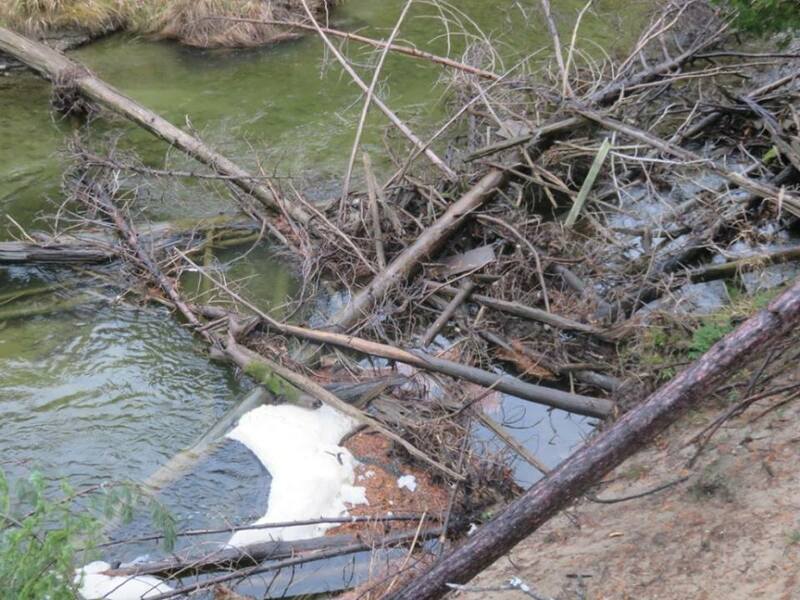 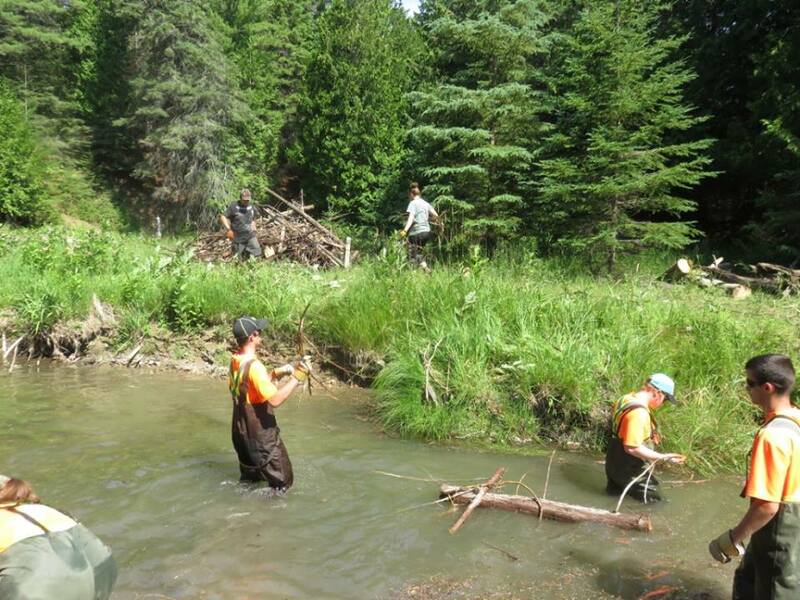 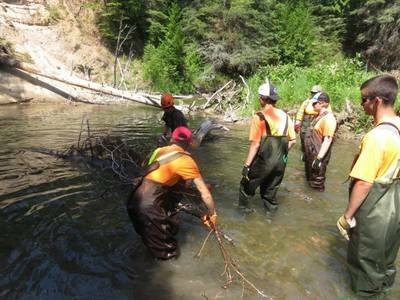 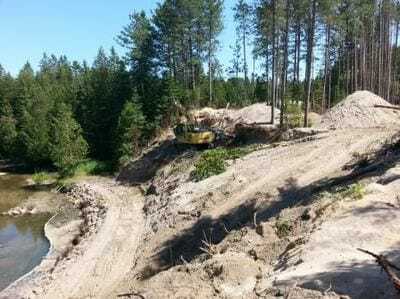 This site had a large log jam and steep embankment that was eroding over prime spawning habitat. 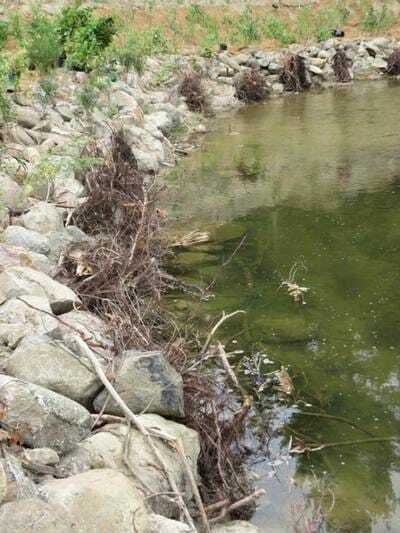 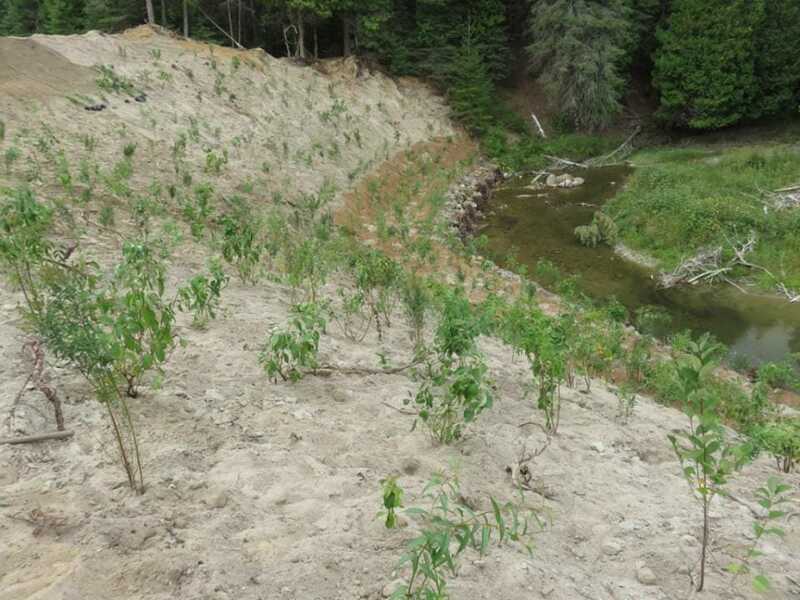 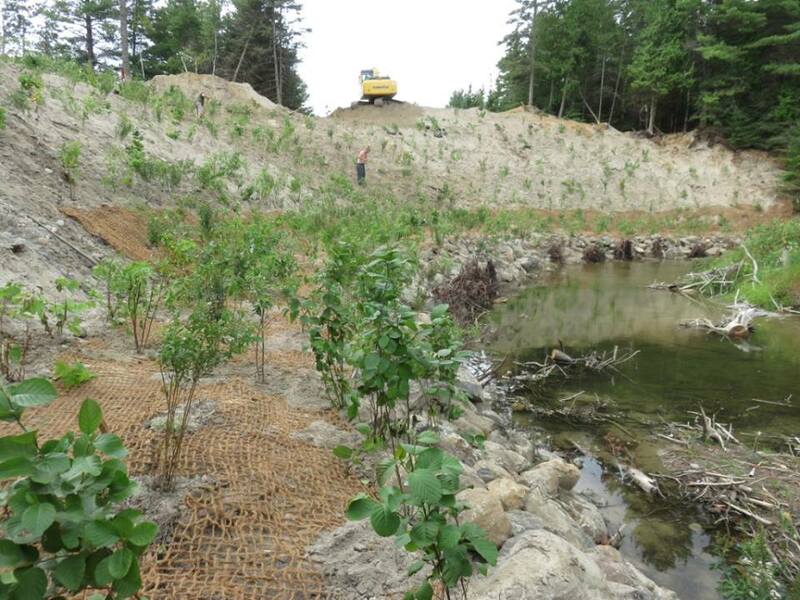 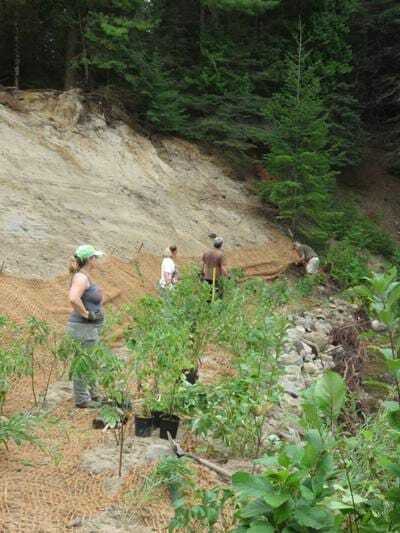 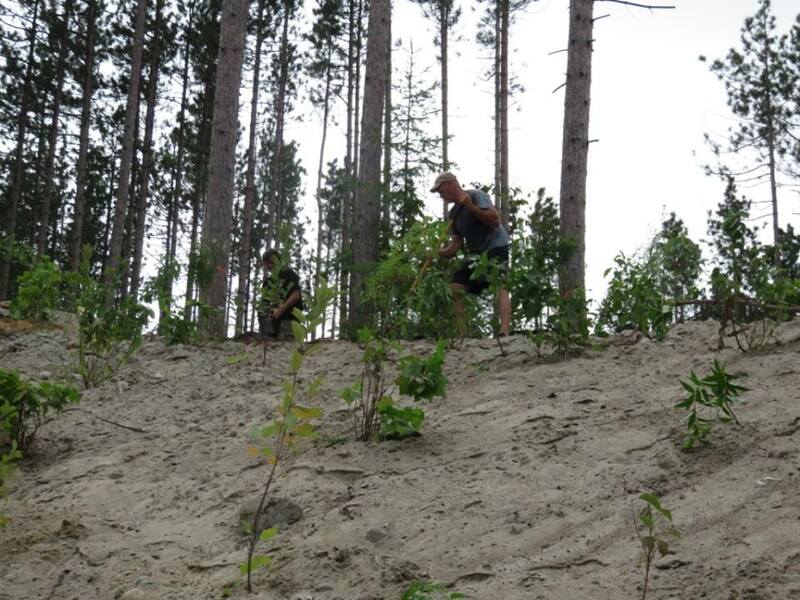 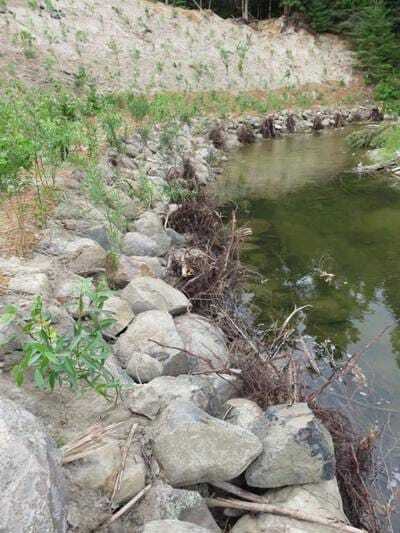 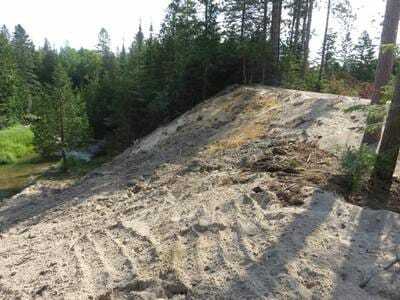 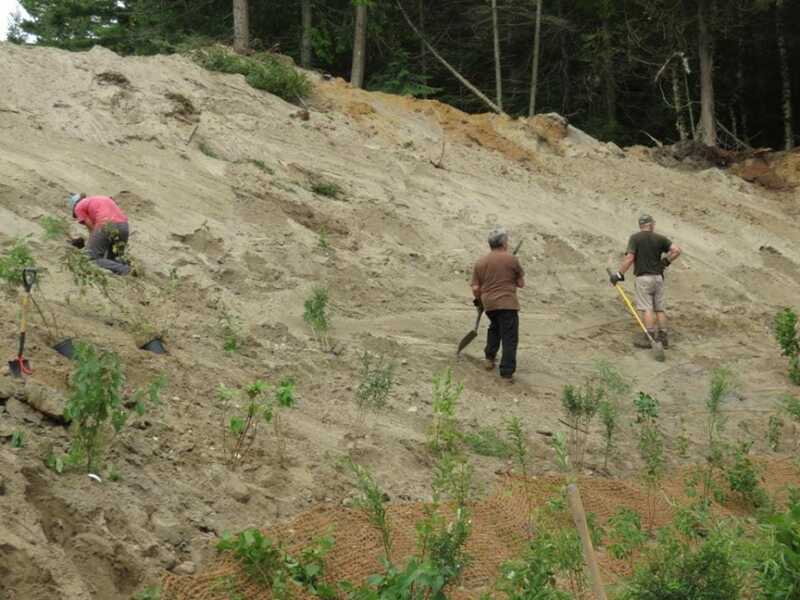 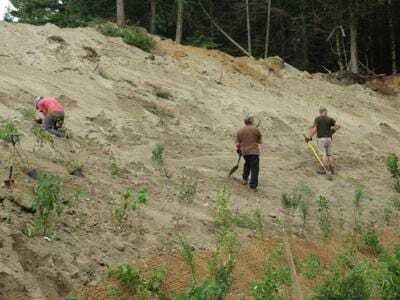 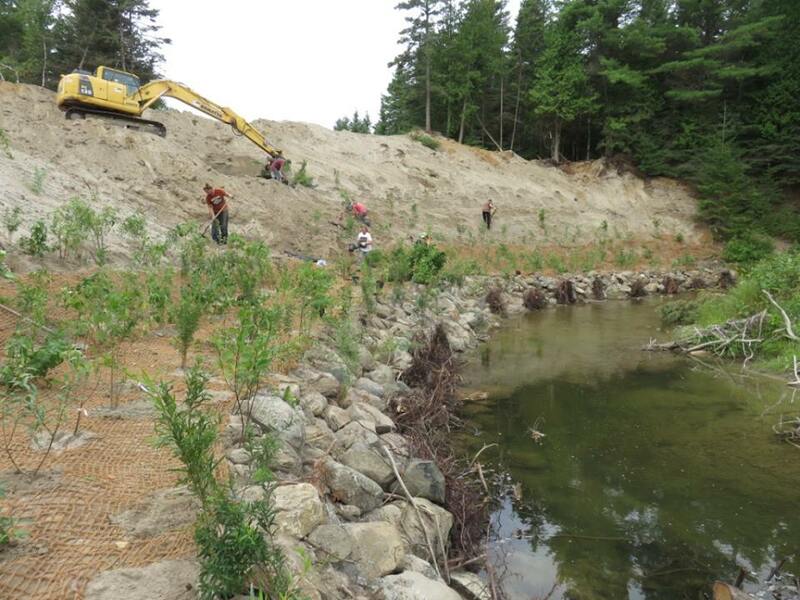 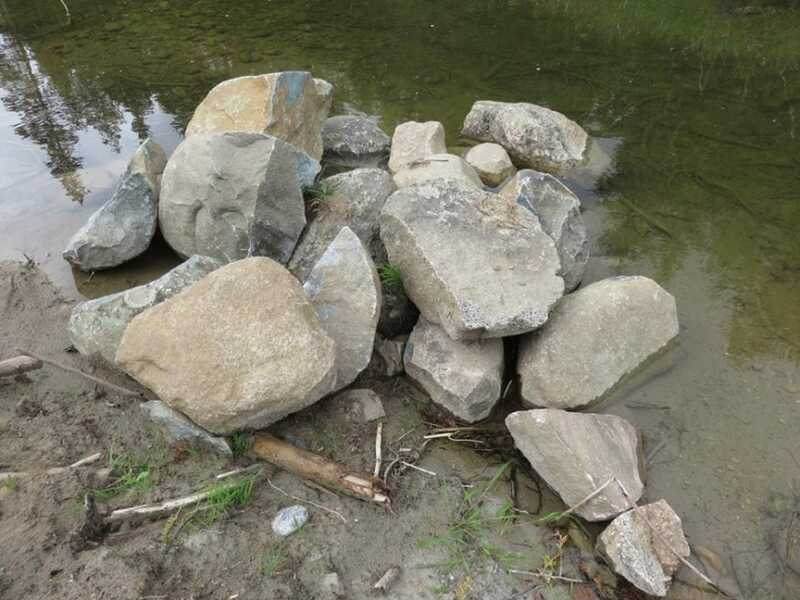 We worked with the Stewardship Rangers to remove most of the log jam and then the construction company installed boulders and 15 root wads and sloped the hill on a 3:1 slope to prevent any more erosion. 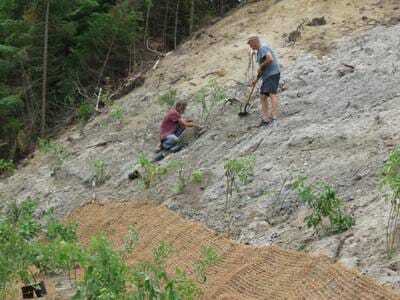 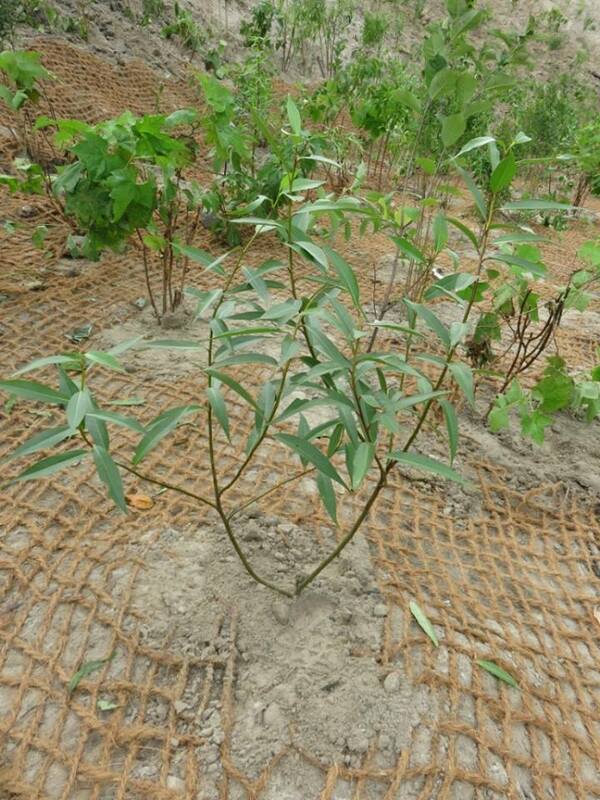 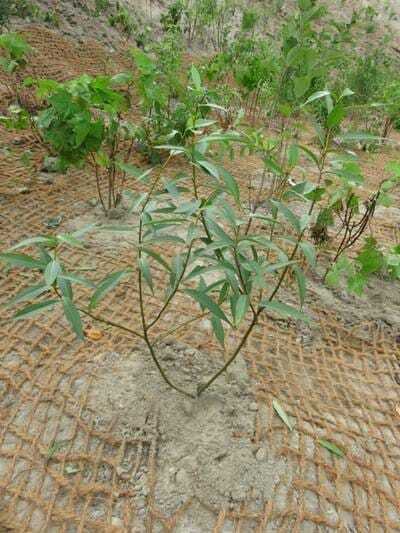 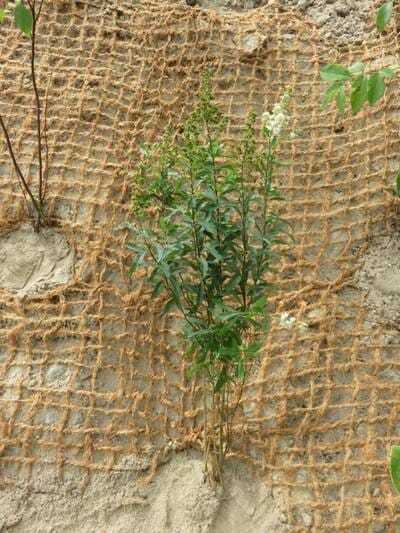 The flood plain had coconut coir mat installed to stabilize the bank. 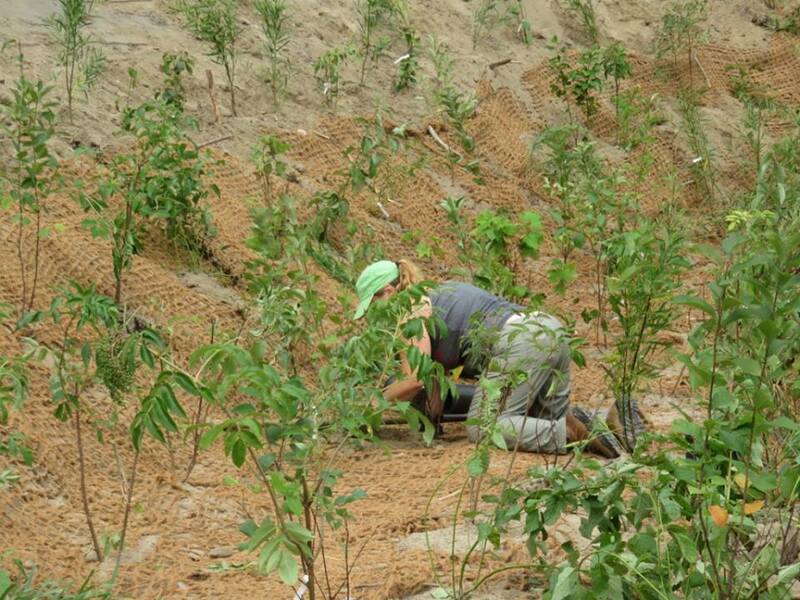 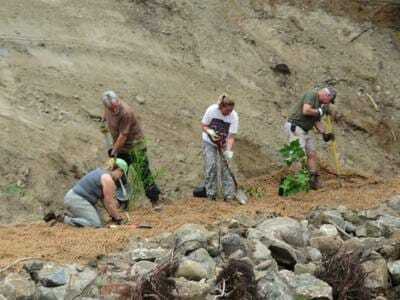 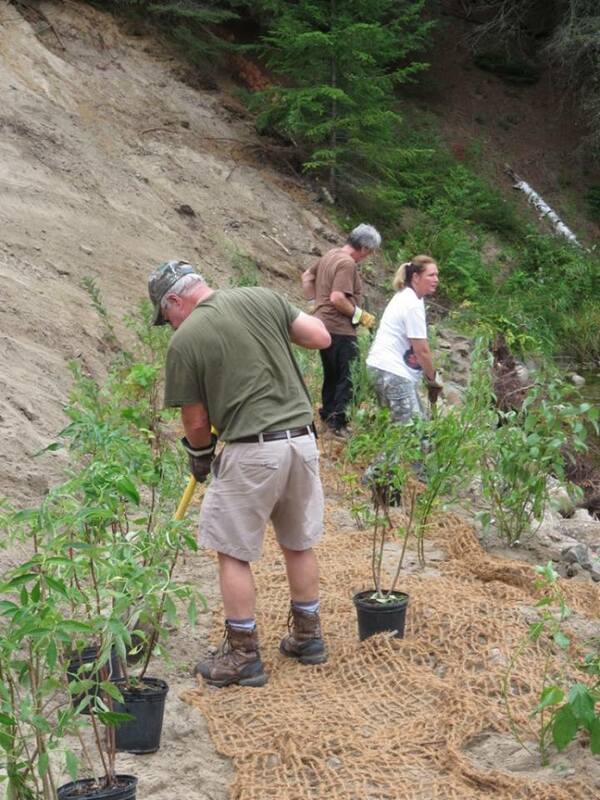 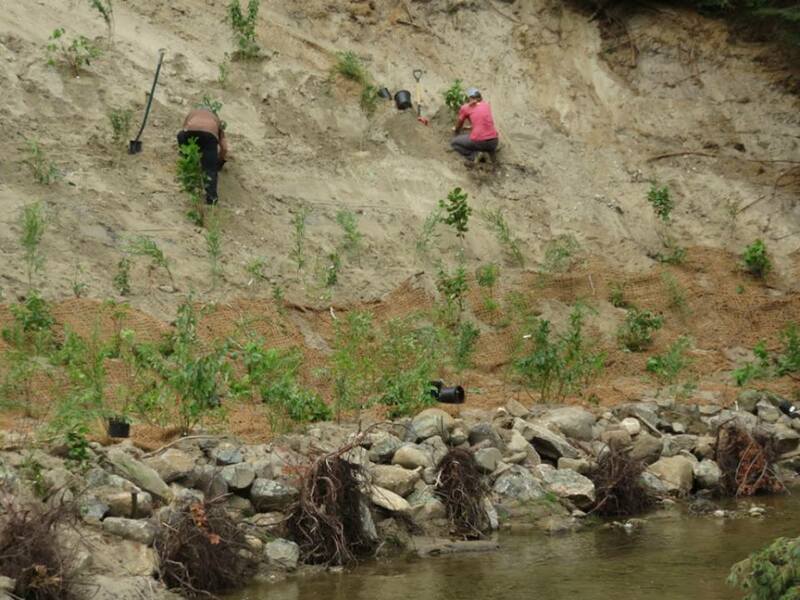 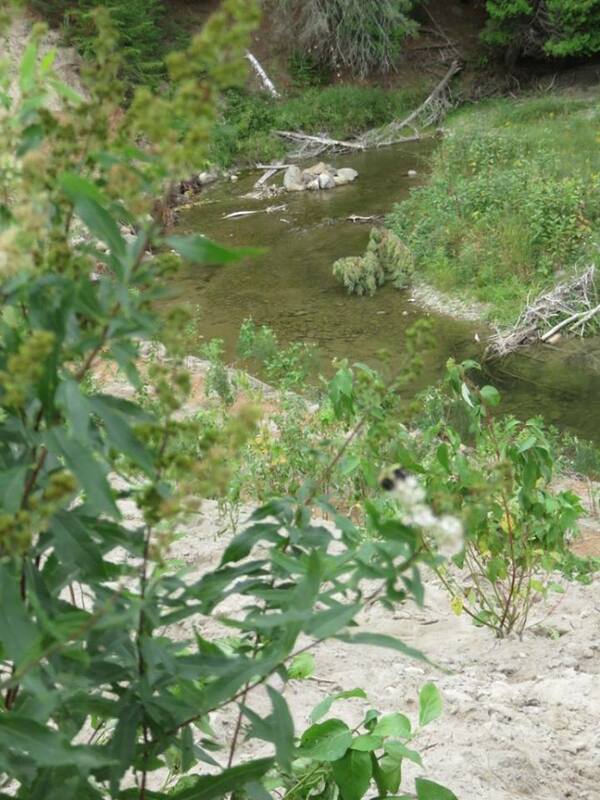 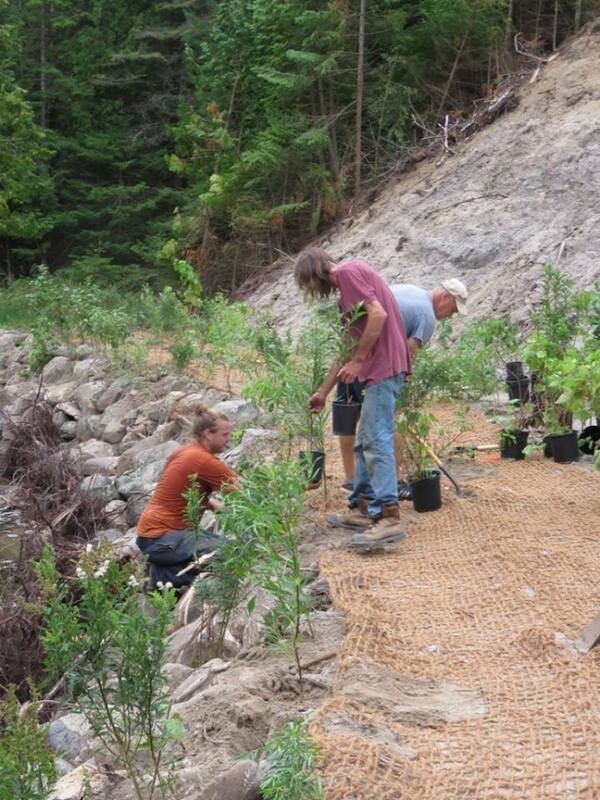 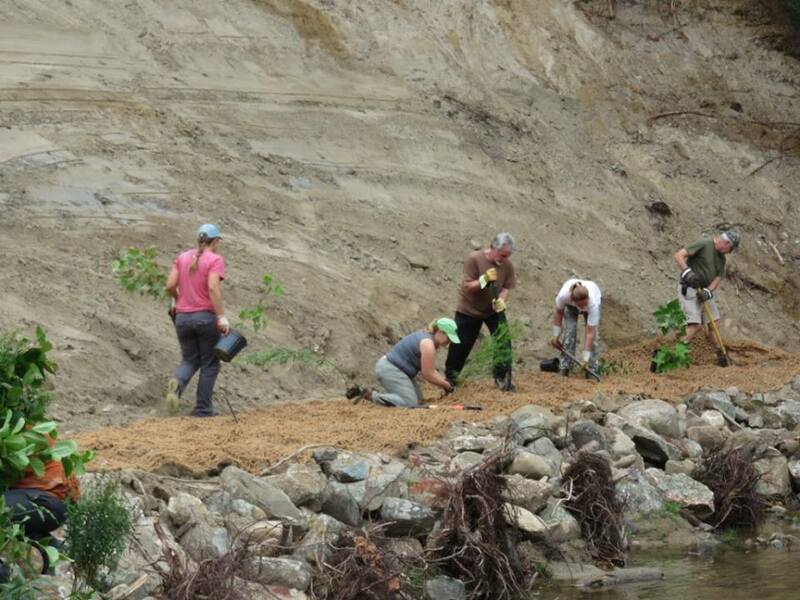 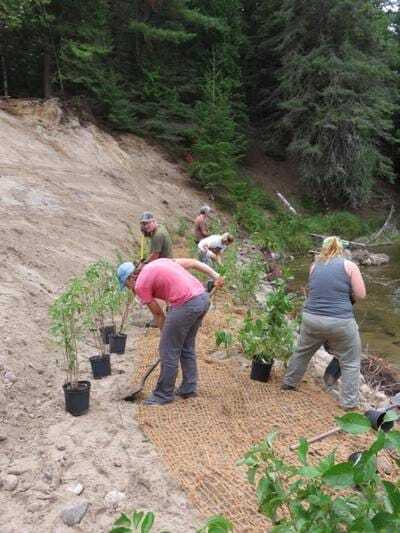 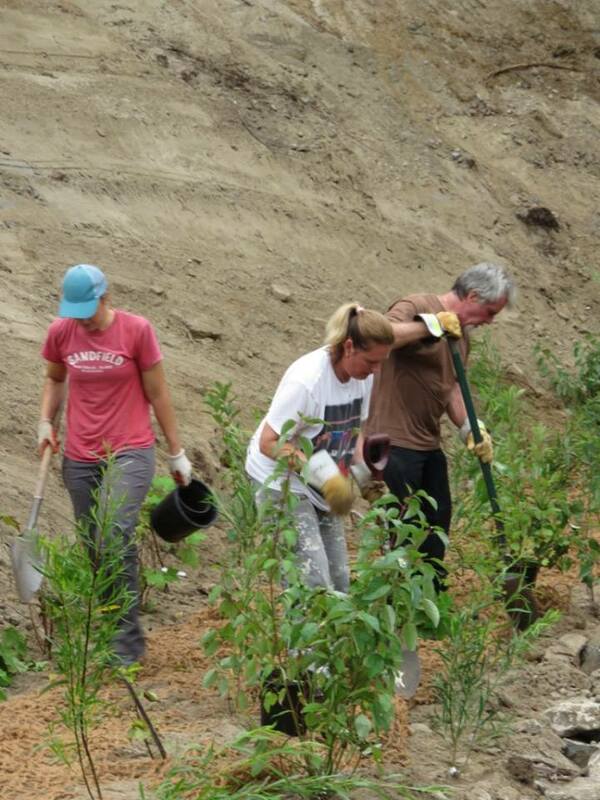 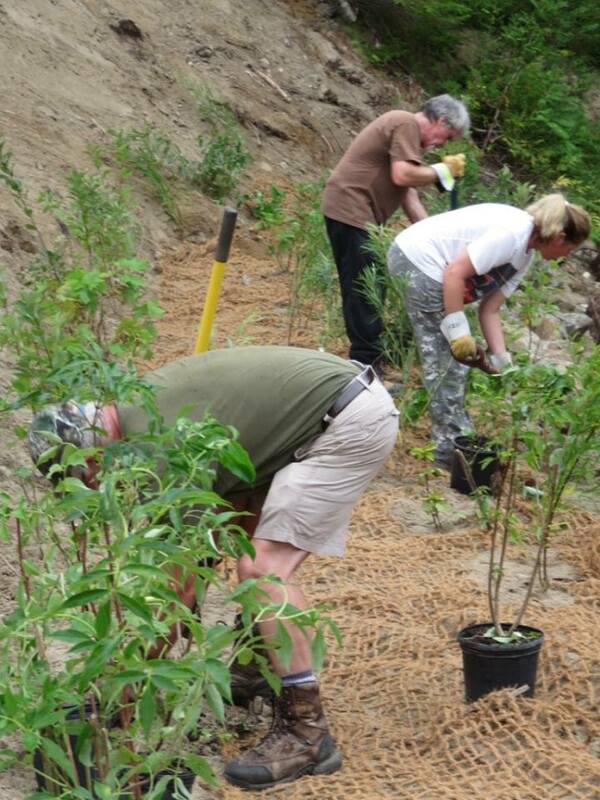 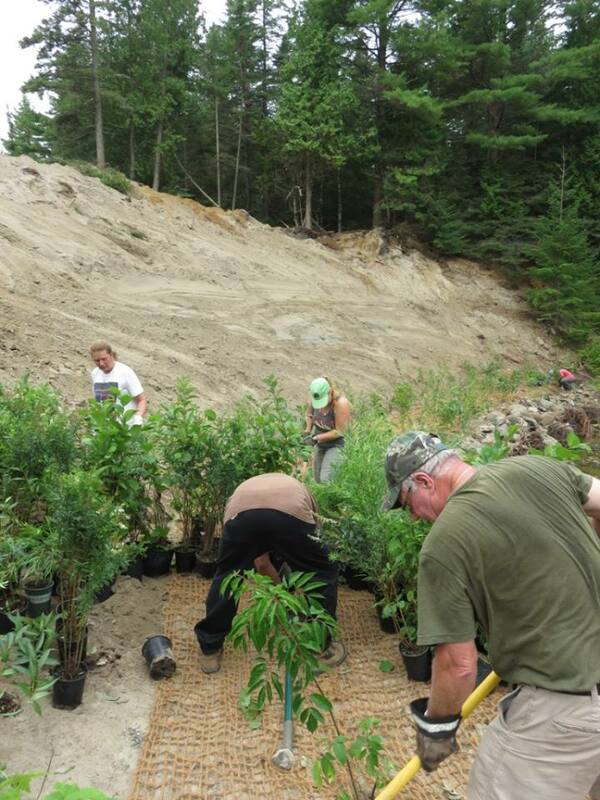 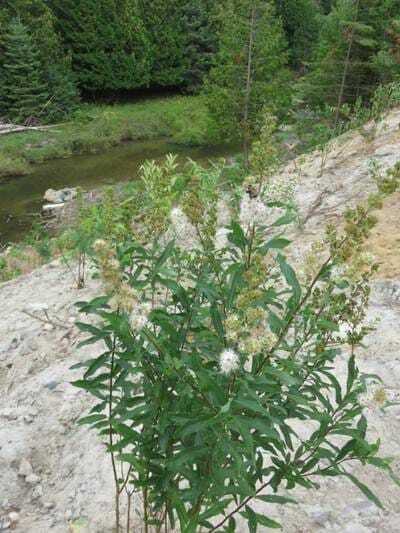 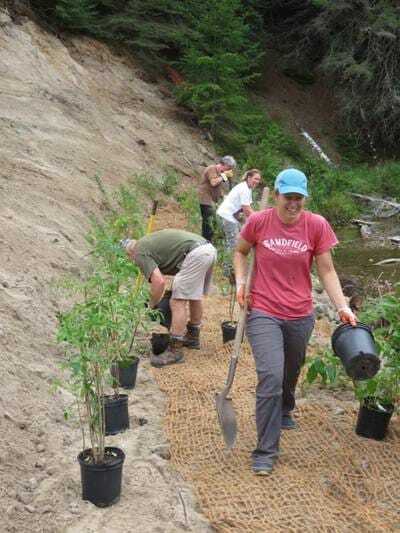 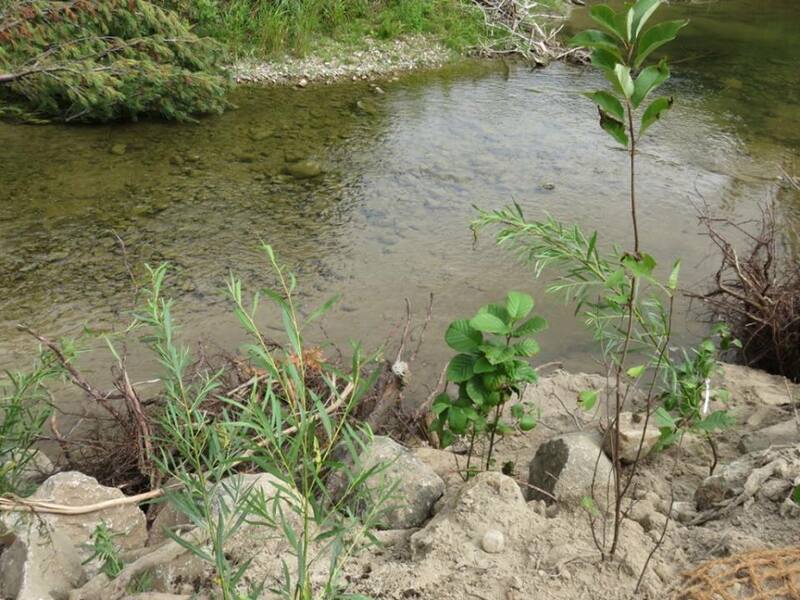 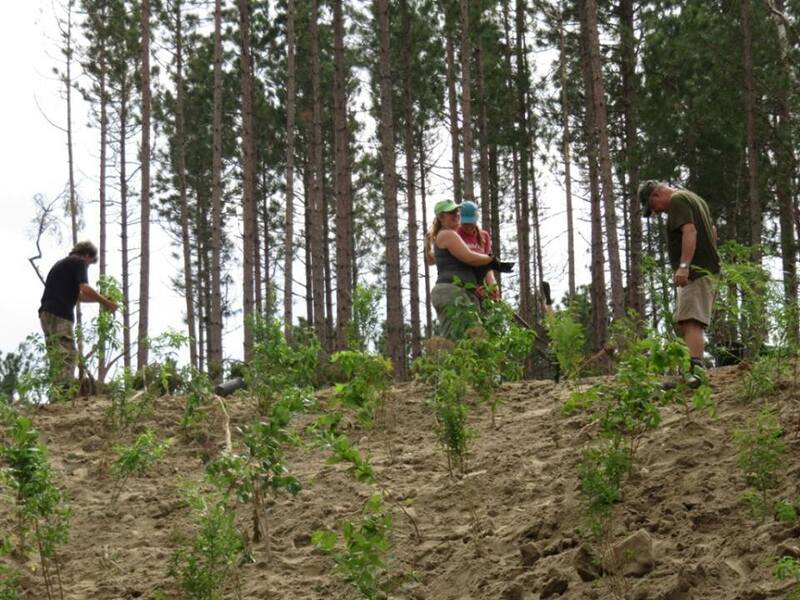 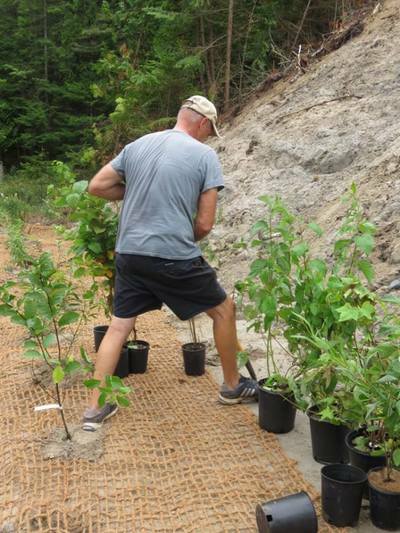 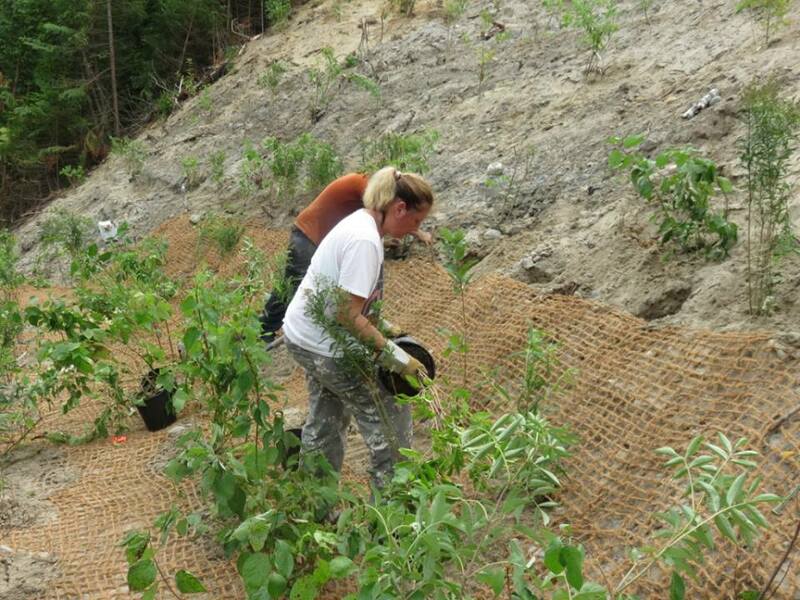 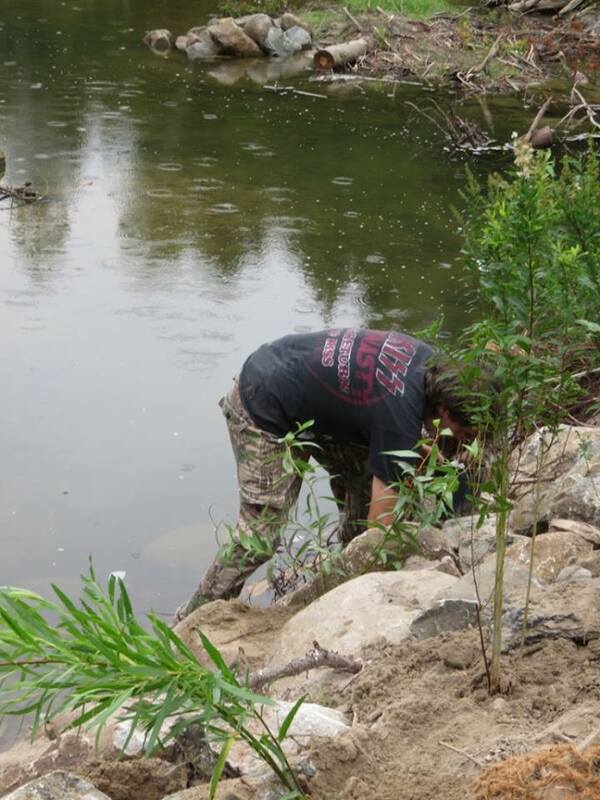 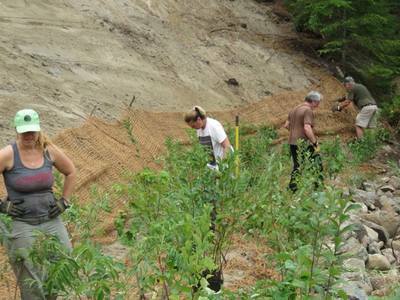 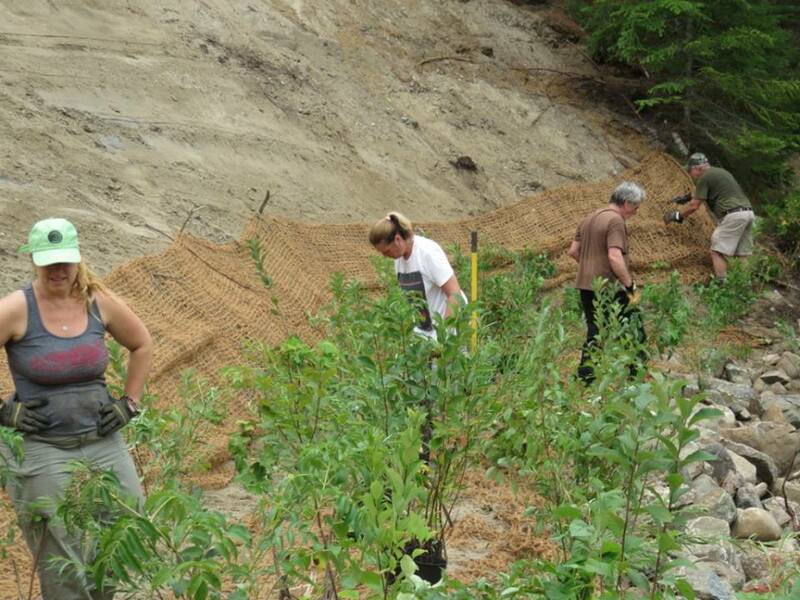 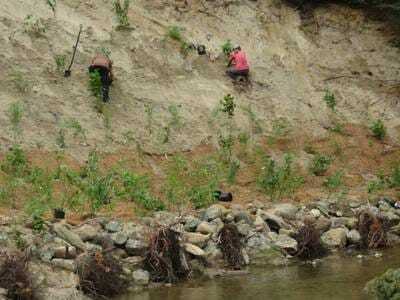 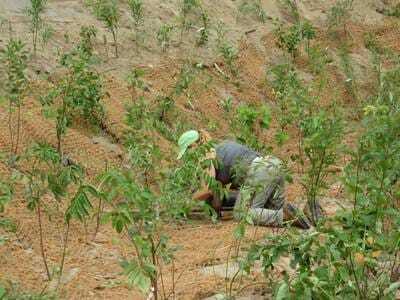 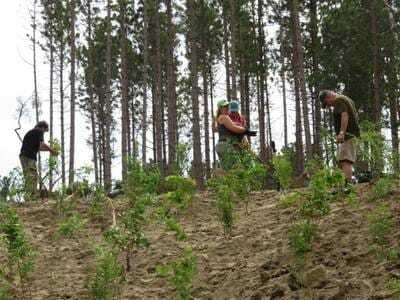 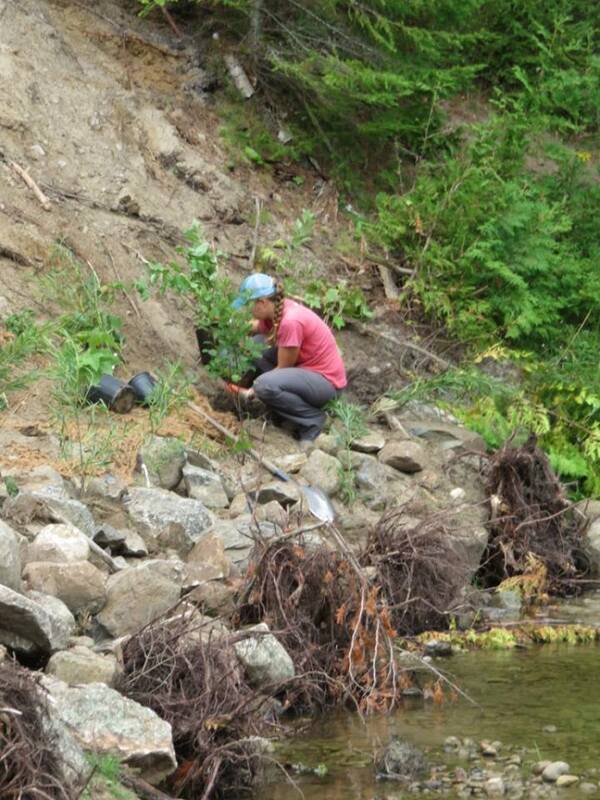 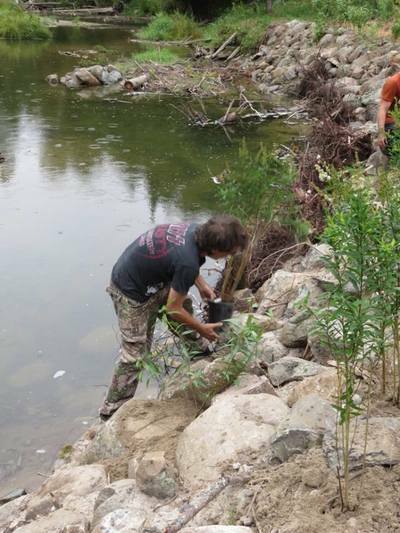 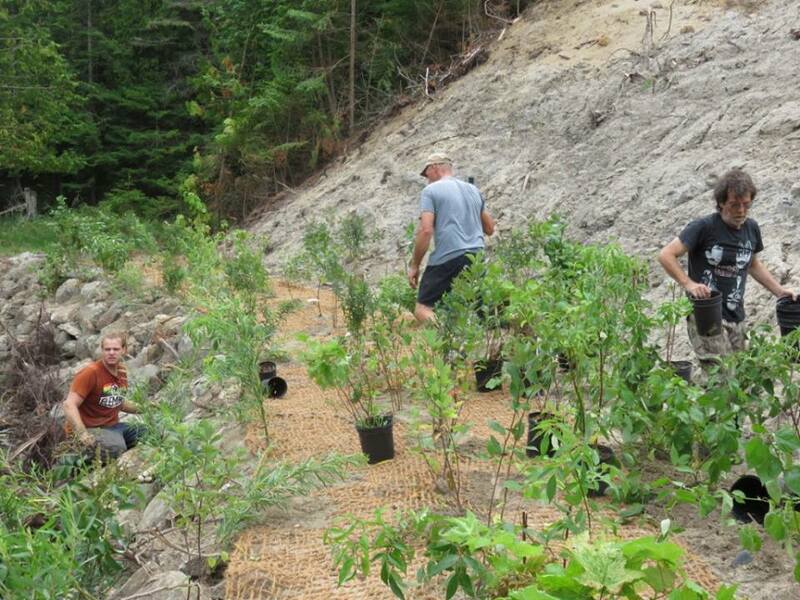 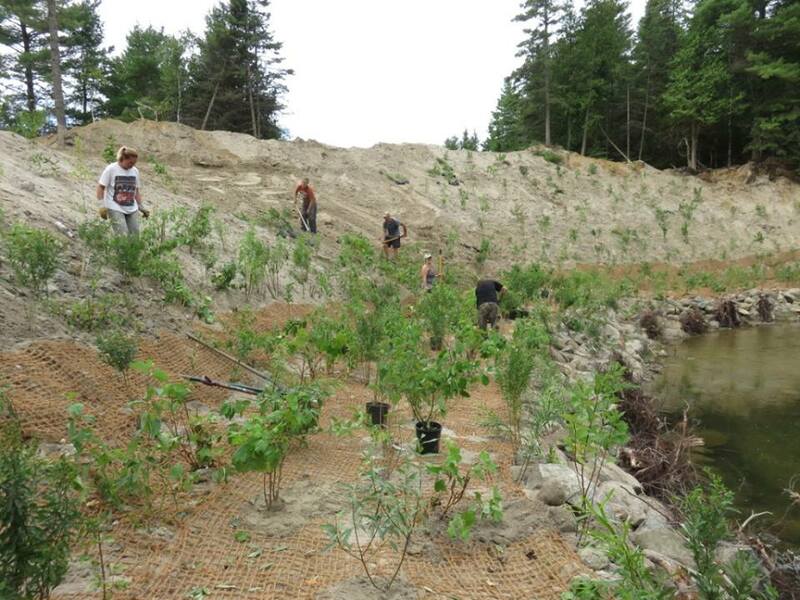 Boulder clusters were added to enhance fish habitat and volunteers came out to help plant over 1100 shrubs and trees. 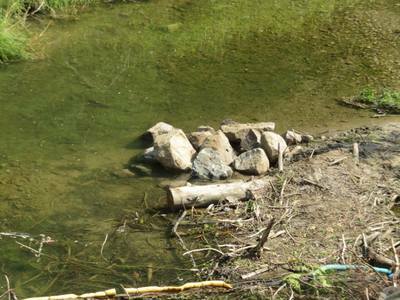 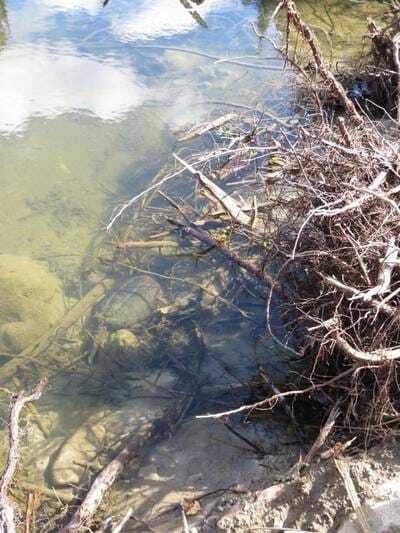 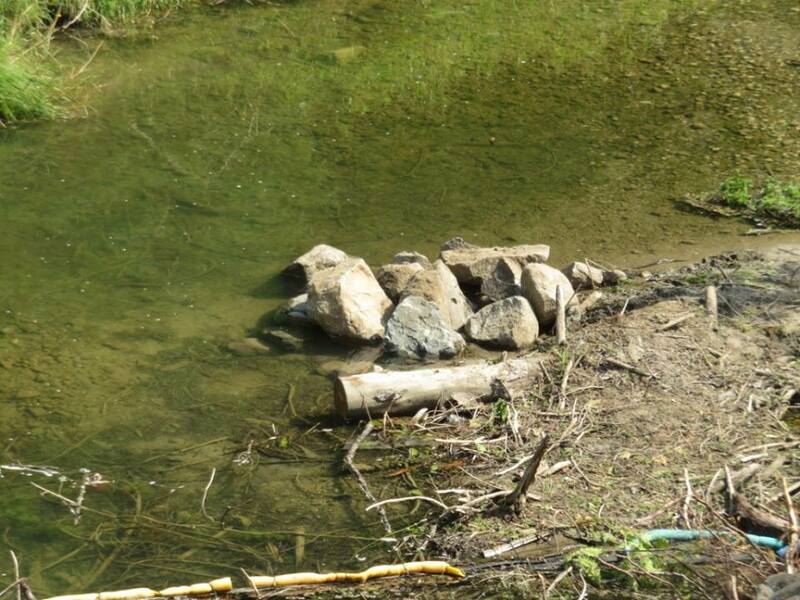 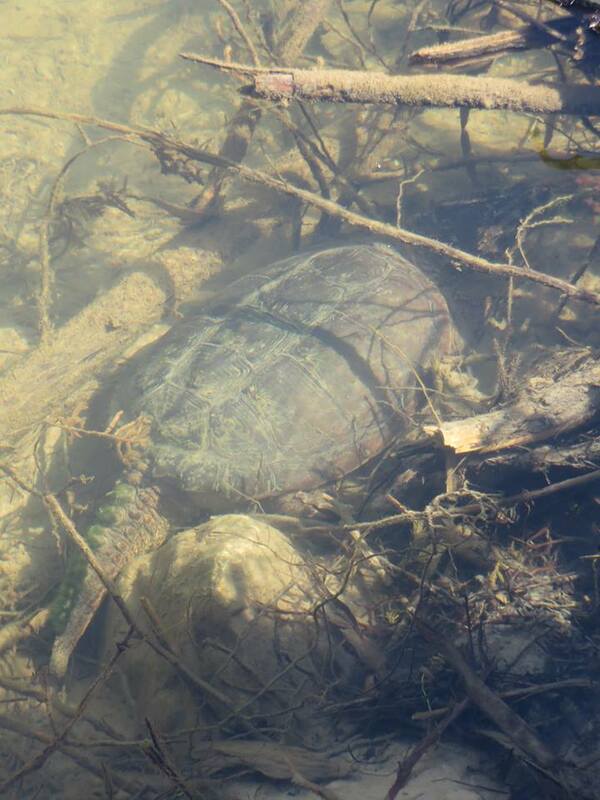 It was nice to see that a snapping turtle was enjoying this new habitat tucking in under the root wads!